Did you recently sign up for a credit card and need to figure out how to meet the minimum spending requirement to receive your credit card bonus? Just about every attractive credit card bonus offer requires that you spend a minimum amount on purchases within the first several months of account opening. In this post, we’ve compiled a list of ways to meet the minimum spend requirements. When you’re applying for several credit cards at a time for the sign-up bonus, you could be looking at around $6K, $10K or more that you need to spend within a few months. Use the information below to create a strategy before taking advantage of the credit card offers. Editor’s Note: Looking to sign up for a credit card? 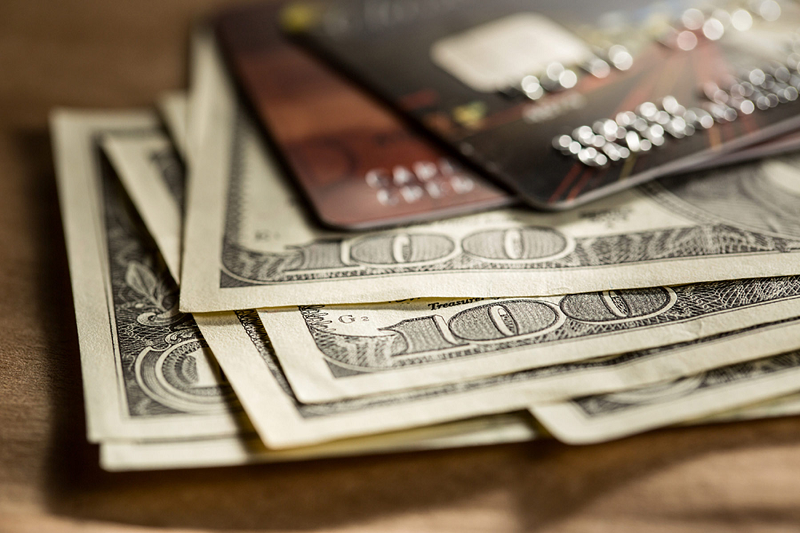 See our Best Credit Card list for the best bonus offers, deals, & promotions. For most people, applying for just one credit card to receive a bonus offer, their everyday spending will more than likely be enough. While applying for multiple credit cards or applying for a card with a very high minimum spending requirement, the average persons’ everyday spending will more than likely not suffice. See below for some of the best options for meeting the spending criteria and How To Meet Minimum Debit & Credit Transaction Requirements. This is when you fund towards the opening deposit when signing up with new bank Checking accounts. Many people are using this option when taking advantage of the bank bonuses available with new Checking and Savings accounts. See which banks allow Credit Card Funding here. See all the Bank Bonuses, Deals, & Promotions here. Many popular banks allow $500 to $1,000 of credit card funding towards the opening deposit. For example, both Chase Bank and TD Bank have great sign-up bonuses and allow credit card funding. Gift cards are one of my favorite ways of meeting credit card minimum spending requirements outside of regular everyday spending. It’s just like buying money that you can spend later on at your leisure. Gift Cards do not expire and there are no fees after purchase. For more versatility in being able to spend at any merchant that accepts credit cards, American Express and Visa Gift Cards are my other preferred option. They will both involve Purchase Fees ($3-$7) when purchased online or in a physical store, and Shipping Fees if purchased online. I depend on these gift cards for higher amounts, because I know I can spend them anywhere. For my last go with credit card applications, I got $3,000 worth of Amex gift cards because promo codes were available to waive the Purchase Fees. $3,000 In Amex Gift Cards! If you shop at Amazon.com often, definitely consider an Amazon Gift Card as well. There are no fees and it will never expire. I went with a $1,000 Amazon Gift Card myself recently; I figured it’d take too long to use up if I went any higher. *Big Tip! * Citi credit cards are notorious for categorizing Visa and American Express gift card purchases as Cash Advances and will charge you the respective Cash Advance fees. I’d recommend purchasing a small denomination gift card with your new credit card to be safe (that’s what I do). You can also call customer service and ask them to lower your Cash Advance limit to $0 so that anything that would be categorized as a Cash Advance would then be declined. It depends on your service provider, but most utility bills can be paid via credit card now. None of my service providers charge extra fees for payment via credit cards, but if you you’re serviced by a smaller provider you should definitely double check. I pay my electric, cell phone, and internet bills with a credit card. If allowed, you can opt to pay for multiple months in advance to help towards the minimum spending requirement. You’ll be left with a credit balance on your account, which will have charges deducted with each monthly cycle. Most of the time, you can also pay your auto, home and renter’s insurance with a credit card. You can usually pay for an entire year of renter’s insurance, which likely isn’t more than one to two hundred dollars, but every bit adds up. Auto insurance is often charged every 6 months, so you can choose to pay for the entire year up front to help towards the minimum spend. If you’re currently financing your home, many times the home insurance is charged towards your mortgage, so see about paying that up front separately if possible. Providers like TIO.com allow you to pay for utilities, auto, cable/satellite, and even mortgage bills with a credit card. Typically, you only have the option of an ACH debit from your checking account for your mortgage and car note, so this is definitely a nice option. Another 3rd party service to look into is Plastiq.com. They charge a 2.5% fee for credit cards when you use them to pay for all sorts of things, like rent, college tuition, private schools, and business expenses. They make the 2.5% off of you using your credit card, and they send a check or make a bank transfer for payment on your behalf. Many of the tax payment service providers listed on the IRS website will accept credit cards as payments. You just have to weigh in the convenience fees that are involved. Typically there’s a 1.87% processing fee involved. Depending on which state you live in, this can be a huge chunk towards your minimum spending requirement. Unfortunately, you also have to weigh in the processing fees that usually apply. It’s usually an option with common lenders, but it’s also commonplace to incur processing fees as well here. Of course this option depends on the property you’re staying at, but some do allow credit card payments. I would say most didn’t allow credit card payments when I was renting in the past. When it was allowed, there was always an extra processing fee involved. Hopefully you’re using a rewards credit card to pay when you’re eating out regardless, but this is obviously important if your card earns extra rewards on the Dining category. If you’re dining out with friends and everyone is chipping in, see how many people will hand you cash and then you can charge that total on your card. You can get a tax deduction, earn points and meet spending requirements on your cards, and of course feel good about helping a cause. Cards like the US Bank FlexPerks Travel Rewards card offer extra points on charitable contributions also. Plenty of credit cards will offer extra rewards on these categories anyway. There’s no reason not to pay for these everyday expenses with your credit cards. Daycare centers usually allow for credit card payments, and this can be $1,000 or more each month towards your minimum spending. You can send money to a family member or friend via PayPal, Venmo, or Square using your credit card on file. There will be a fee accessed that’s typically 2.5% to 3%. Have your family/friend write you a check minus that fee. Some smaller local grocery stores will let you buy money orders using a credit card (many times without an extra charge). Then, just go deposit that money order back into your bank account. I’m throwing this in here to give some updated information as to why this isn’t really a good option anymore. You used to be able to buy Vanilla Reload packs with credit cards in order to reload your Prepaid Cards. Retailers have become quite strict on this now, allowing only cash or debit cards to be used for purchasing reload packs.